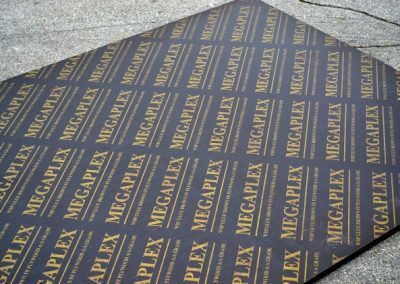 Megaplex is a very high quality Chinese film faced plywood. 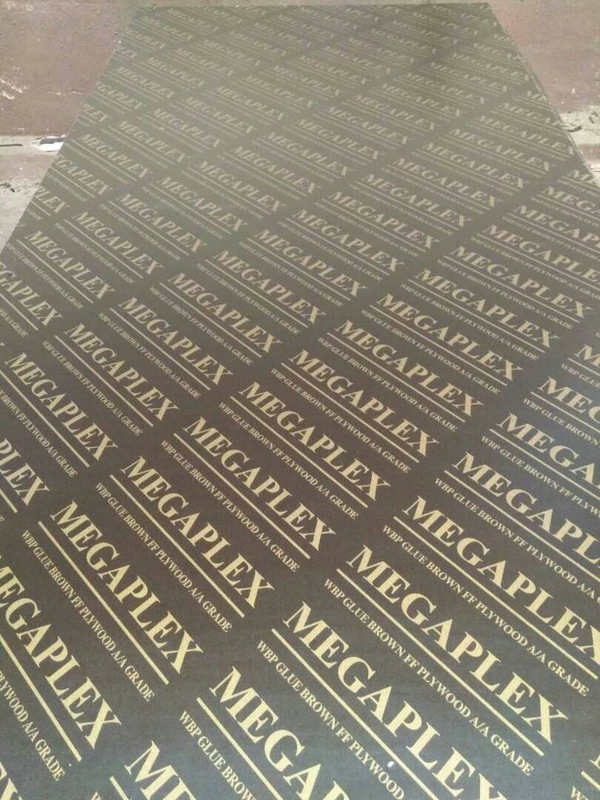 It is produced under MEGAPLEX logo for our company only. 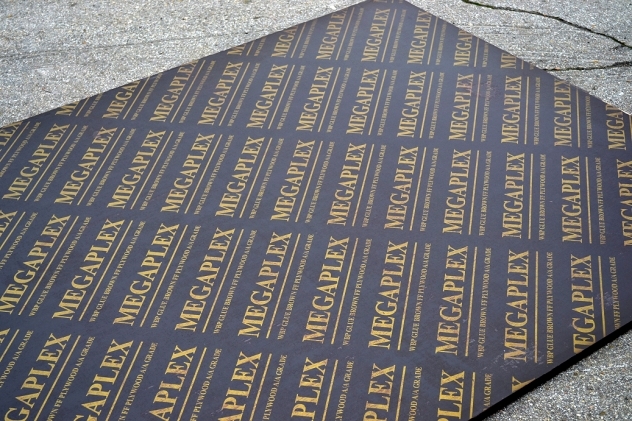 We have marked each side of the panels with the trademark MEGAPLEX and specification WBP GLUE BROWN FFPLYWOOD A/A GRADE. 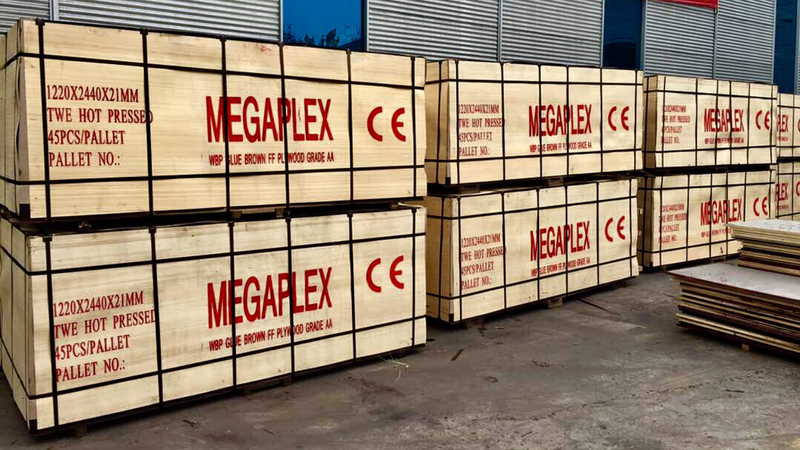 MIP Group offers to its Bulgarian and foreign partners very good quality film faced plywood with that product. 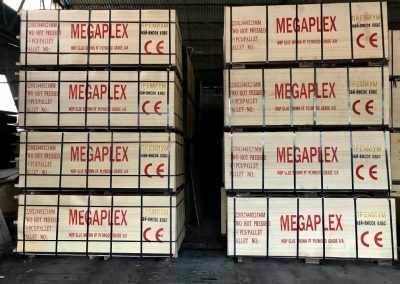 Our company has huge quantities MEGAPLEX for export stocked in our storage in Varna. 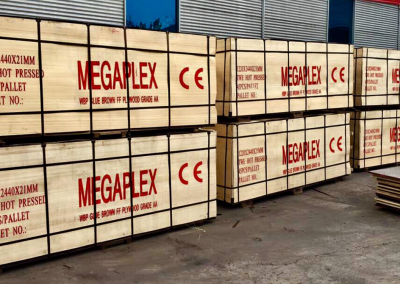 We realize fast orders and delivery to Stip, Skopie, Strumitca in Macedonia, Serbia and Romania. 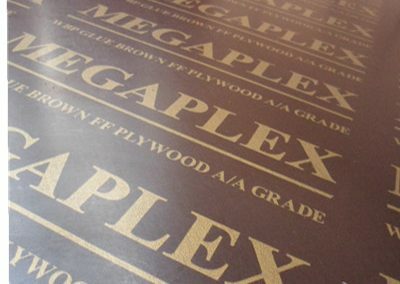 MEGAPLEX is film faced plywood with highest technical specification. Produced in China. 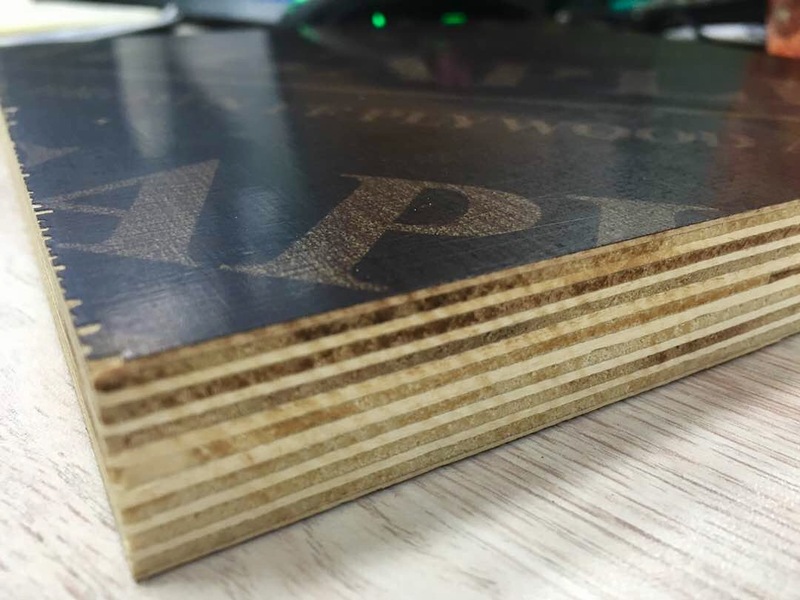 This is top quality film faced plywood imported in Bulgaria. 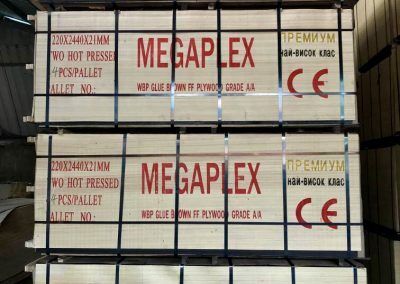 Size of every sheet: 1220x2440x21мм (+/-3), poplar core, 13 plies, WBP glue 220-240g/m2. Grade A/A. Weight 33-35Kg. 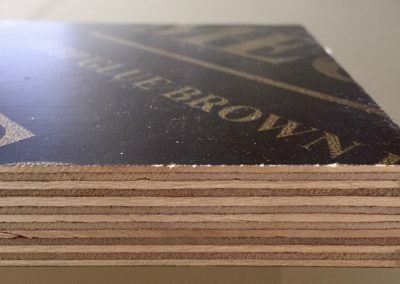 Package – plywood. 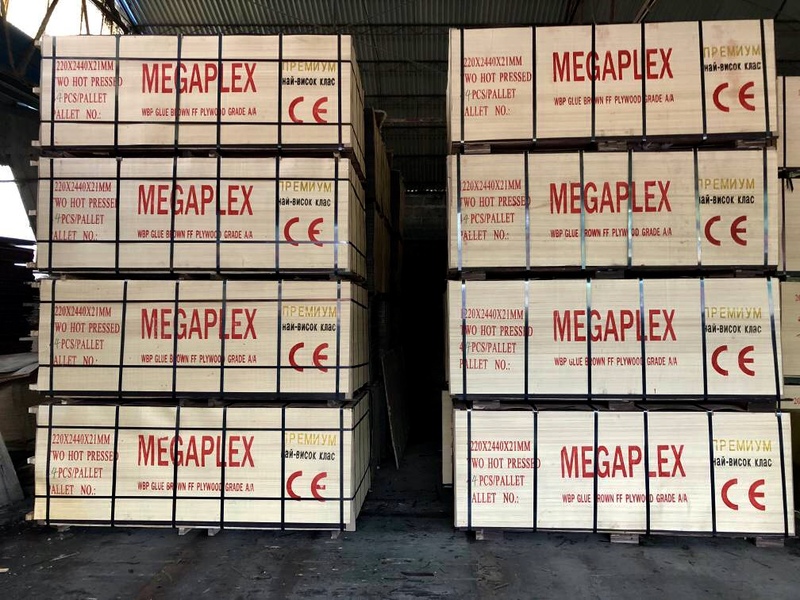 45 pieces in a pallet. 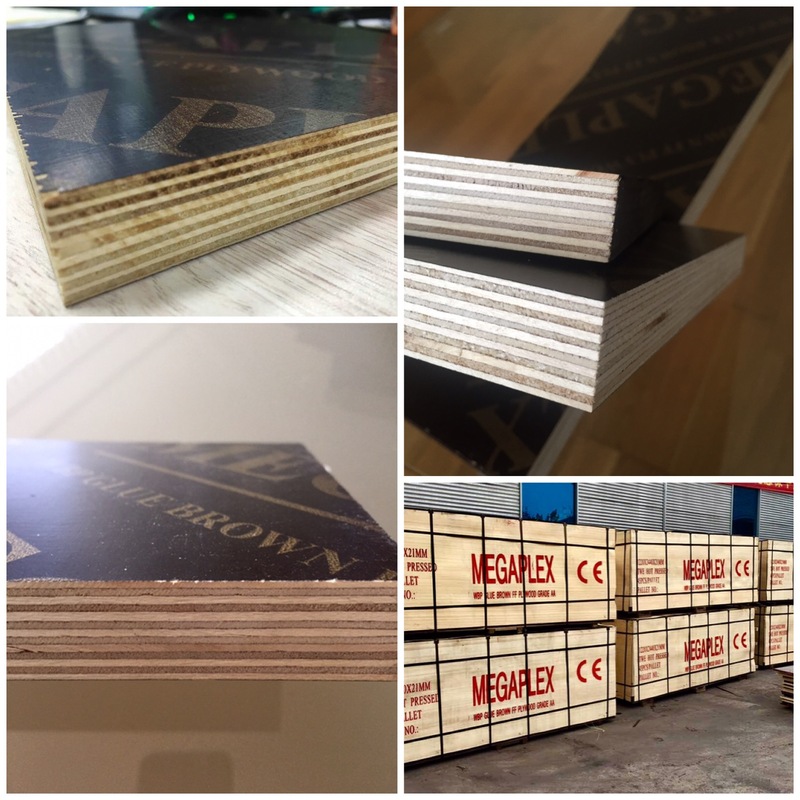 Every sheet and pallet sign is: WBP GLUE BROWN FF PLYWOOD A/A GRADE . This is PREMIUM QUALITY. Only MIP Group is importer of that product. Our company has the rights over the product, the logo . 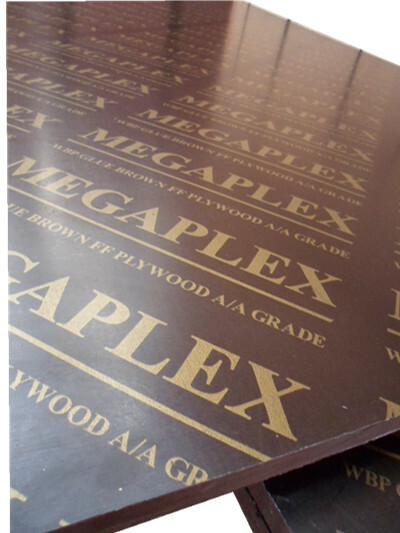 The film faced plywood MEGAPLEX is produced as top quality shuttering panels. You can use it over 10 times. 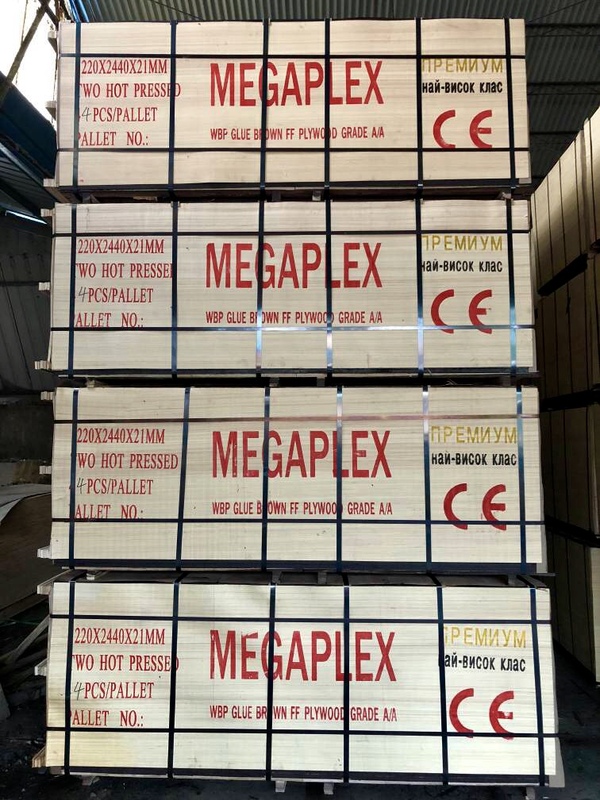 You should follow the instructions for use of panels so to use many times . 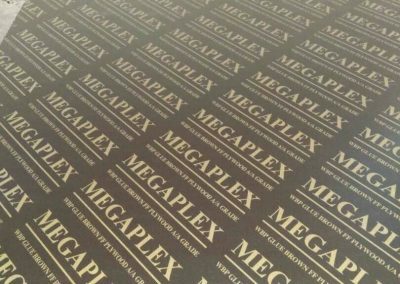 It’s important to know that film faced plywood MEGAPLEX is not finger joint core. 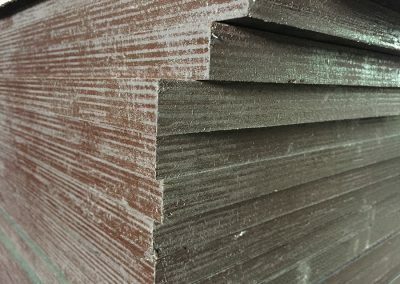 You can not meet inside concrete or old parts of plywood. 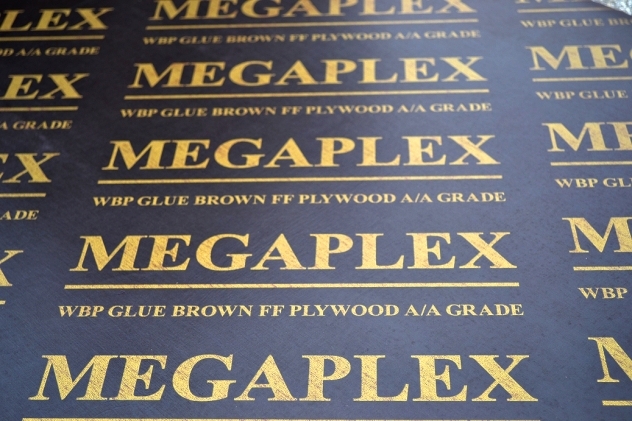 MEGAPLEX is brand new poplar core film faced plywood made of 13 plies poplar new veneer. 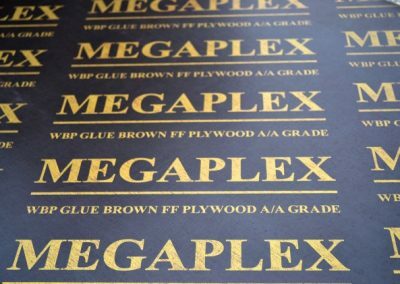 We use WBP glue. 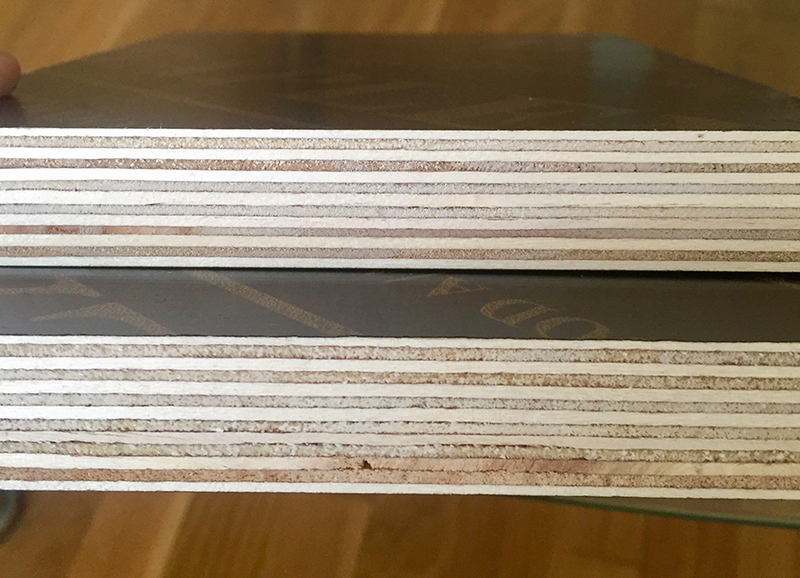 This is TWO hot pressed plywood. 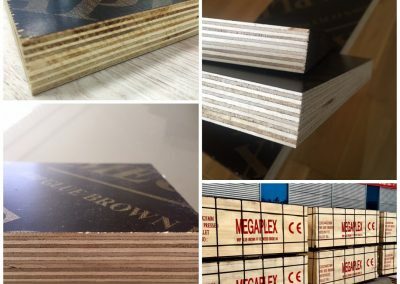 High quality of every panel is guaranteed. 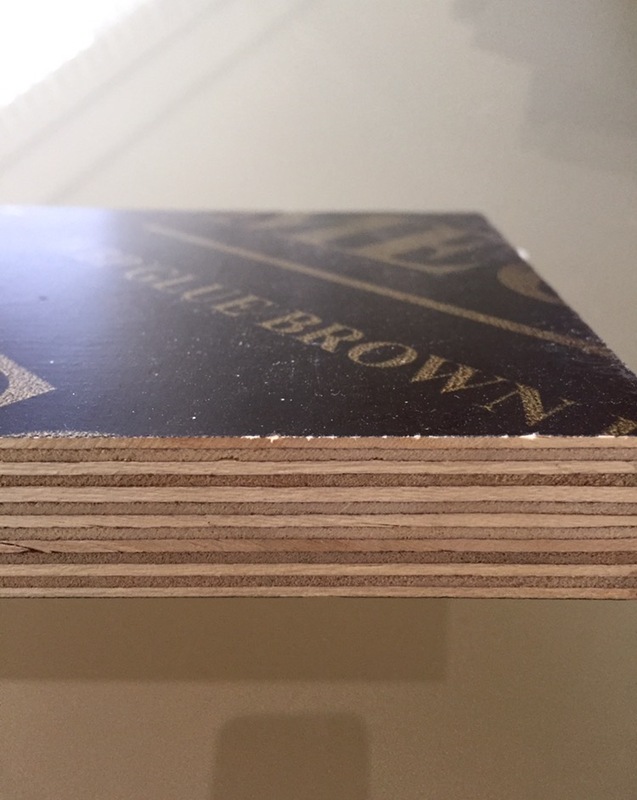 * For reference the Finger Joint Core (recycled) film faced plywood is made by used plywood parts. 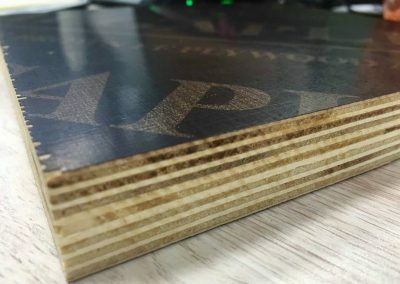 Composed by a machine and all that sanded. 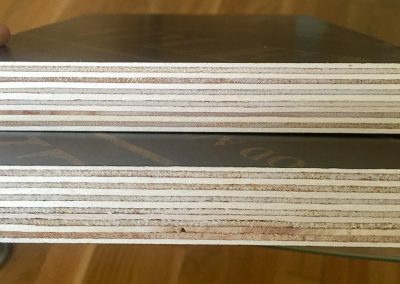 Than 2 new veneer plies used on both sides. And filmed after that. 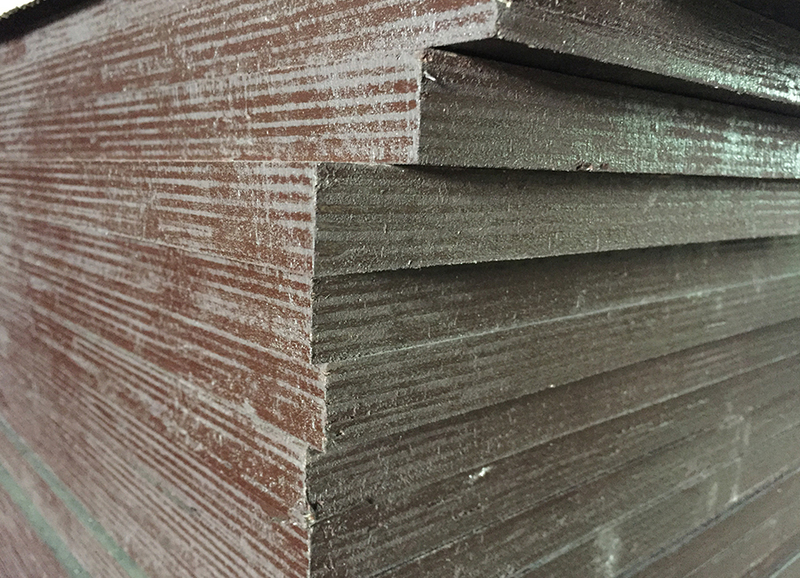 The finger joint core plywood has same outside view as the poplar core but in most panels you can meet sand and concrete and quality is very poor. You can use 1-3 times.